Multichannel installation for the tamatete gallery in Rome. One of a series of films based on emotional responses. Nostalgia is a deconstructed child’s music box. 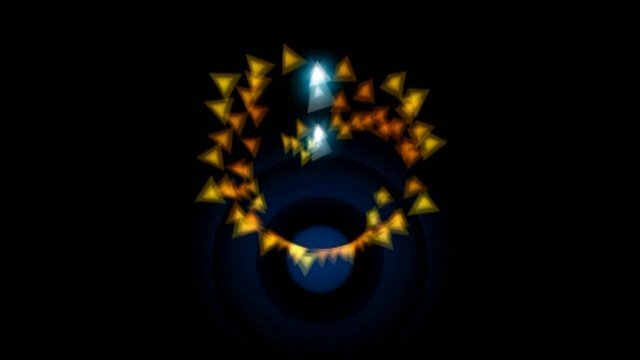 A music box was ripped apart, the drum flattened and scanned and the result used to draw a midi pattern, this signal then built and ‘drove’ a 3D visual interpretation with the play pass highlighted. A multichannel score was composed using only the pattern and the resultant imagery played over 9 screens in a circular room, the film transformed in hue over the 8 minute cycle. Twinkle twinkle little star was chosen in part for it’s multinational appeal and in part due to it’s subject’s relationship to the films theme. With Andrew Allenson.